Overall a very good product that has long-term effects on multiple fronts. I have fed this product for over 6 years. “I ride barefoot horses and have been on 50 plus mile rides in rocky country. The horses come through with amazing stamina and the hooves are prepared 6 months in advance with the usage of this product. Literally, this product has strengthened the hooves to perform with solid results. Further, our horses are utilized in arena speed events again barefoot. Very good product with excellent results on multiple fronts. Settle in for the long term and enjoy lifetime results”. 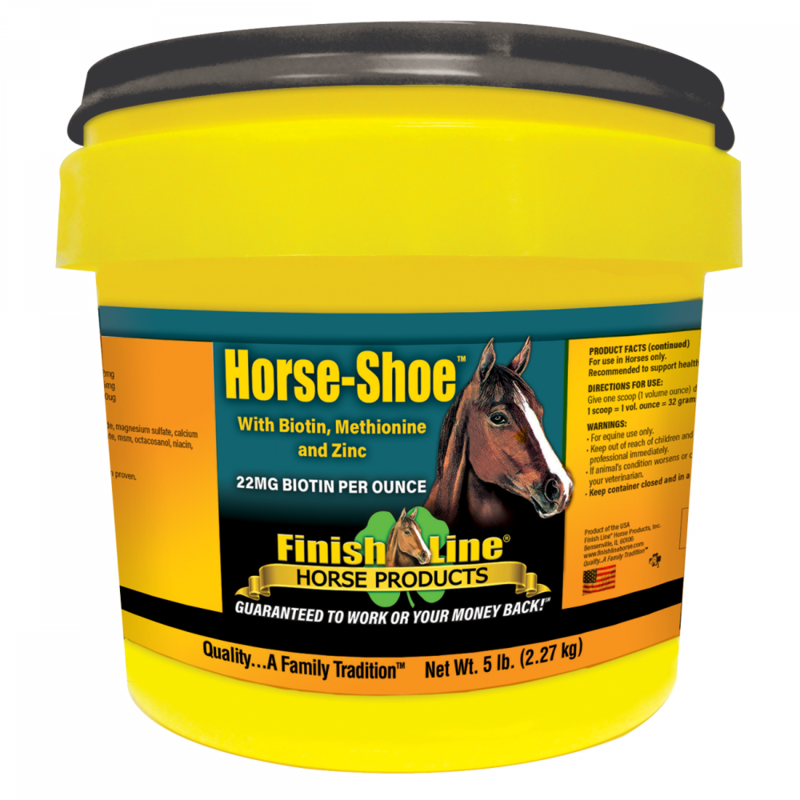 Horse-Shoe™ helps promote healthy hoof growth. 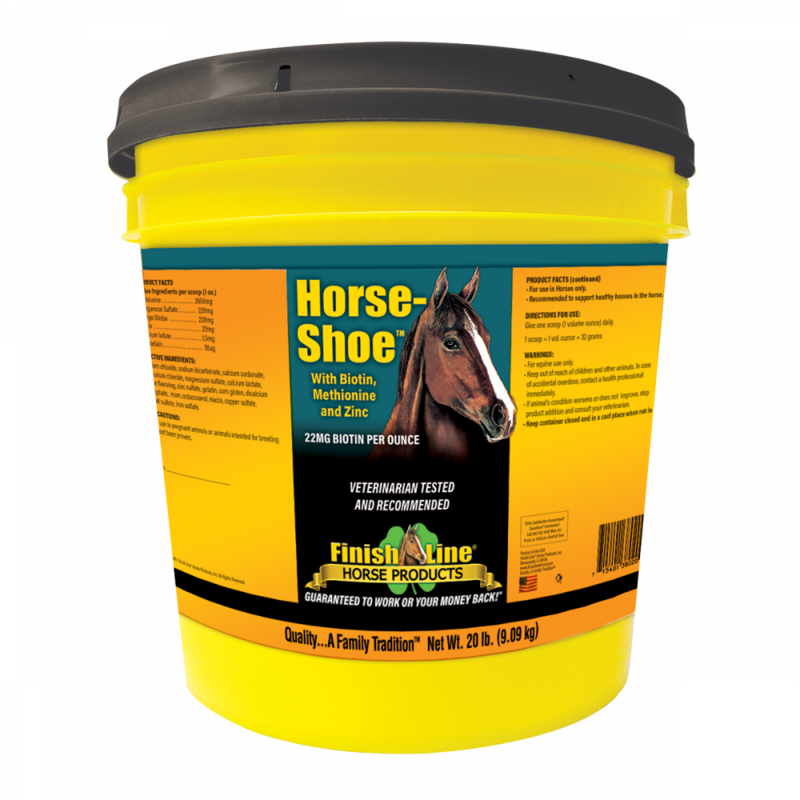 It contains Biotin, Methionine, gelatin, zinc and manganese, and other support ingredients that stimulate circulation to the hoof. Niacin and calcium iodate help increase circulation throughout the system, including the hooves. Increased blood flow helps nourish the hooves, making sure that they have enough nutrition needed for healthy hoof growth. Bromelain, a natural enzyme can help ease inflammation. 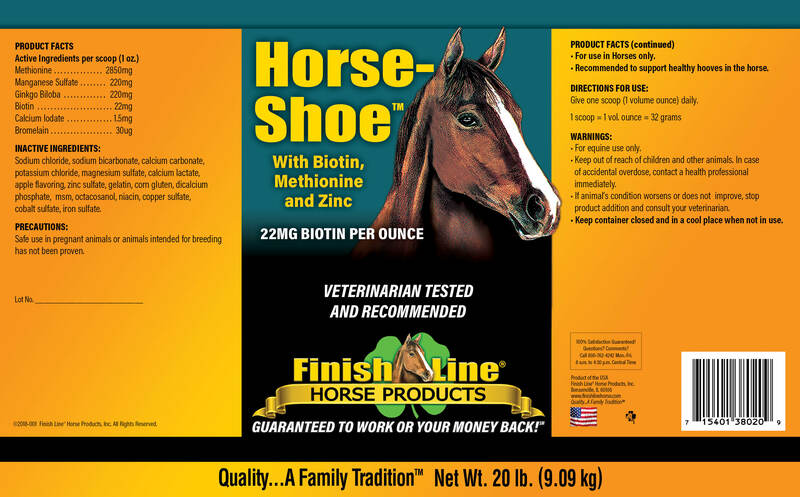 Horse-Shoe™ helps promote healthy hoof growth with 16mg of Zinc and 22mg of Biotin. Also contains Bromelain, a natural enzyme that promotes a healthy inflammatory response.